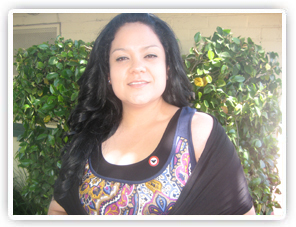 UFW Stories: "This is the beginning of a dream come true 1962-2012 Cesar E. Chavez !Presente!" "This is the beginning of a dream come true 1962-2012 Cesar E. Chavez !Presente!" First started as a volunteer for the UFW in 2003. When I was going to Turner high school in Kansas City, Kansas. I participated in a club called LULAC was there where I met UFW history but also my parents who were farm workers told me their experiences during the grape strikes in Delano. As soon as it I graduated from high school in 2003 my parents decided to move Fortunately for Delano, CA. a few days we came to Delano went to locate the office of the Union and sign up as a volunteer and it was there where I learned to organize workers and also participating in political campaigns. In 2004 I started working as an organizer in the San Joaquin Valley where I organize for over 7 years in the industries of table grapes and tomatoes. Now I have the honor to be part of the executive board of the UFW as National Vice President and also I represent and organize the farm workers of the companies that already have a contract for the Union in Ventura County. Viva la Mujer! Si se Puede!